The Anti-Money Laundering Supreme Council has issued a statement to clear the vague points about Iran’s accession to the Financial Action Task Force (FATF). The FATF issued a statement on June 24, 2016, temporarily removing Iran from the list of its uncooperative countries. This came as the result of numerous actions taken by the Iranian government, Parliament and Judiciary in the past few years. According to the statement by Iran’s Anti-Money Laundry Supreme Council, the moves included adopting laws against financing terrorism and other actions which legally bounded Iran to take action to eliminate shortcomings of the existing laws. 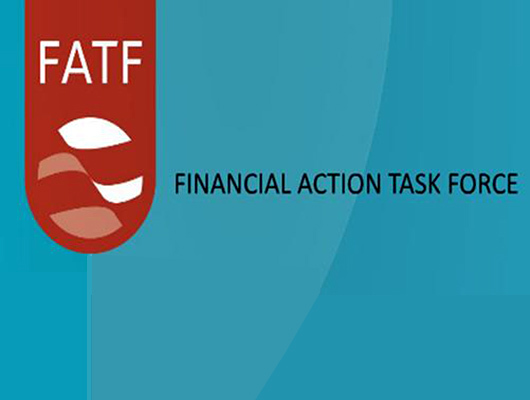 Quoting the FATF statement, the Iranian body noted, “The FATF welcomes Iran’s adoption of, and high-level political commitment to, an Action Plan to address its strategic AML/CFT deficiencies, and its decision to seek technical assistance in the implementation of the Action Plan. The FATF therefore has suspended counter-measures for twelve months in order to monitor Iran’s progress in implementing the Action Plan. If the FATF determines that Iran has not demonstrated sufficient progress in implementing the Action Plan at the end of that period, FATF’s call for counter-measures will be re-imposed. If Iran meets its commitments under the Action Plan in that time period, the FATF will consider next steps in this regard. The FATF will continue to engage with Iran and closely monitor its progress. It also suspends counteractions against Iran. The statement by the Iranian body said that the suspension of Iran is a positive step ahead towards removal of banking restrictions during the past years which had been unfairly imposed on Iran. That is why, the statement went on to say, the recent FTAF statement is harshly hit by Zionist lobbies and certain other countries that favour continuation of restrictions against Iran. Outlining the principles the FATF is following, the organization further said that cooperation with the FTAF is necessary and that all banks, financial institutes, companies and economic organizations across the globe are obliged to execute all anti-money laundry standards as well as those relating to financing terrorism. That is why, all countries, are making every attempt not to be included in the list of uncooperative countries and if by any chance they get into the list speedily take actions to exit the list. It went on to note that cooperation with the government is not limited to the period of the incumbent Iranian government but rather goes to previous cabinet who had taken extensive measures to start interactions with the FATF.